Hello and welcome to another make it Monday! 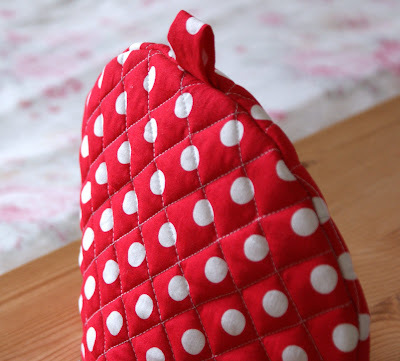 Here is my quilted tea cosy i made last week :) i used some lovely Michael Miller polka dot fabric, with light blue cotton lining. After some failed attempts and snapped sewing machine needles it finally came together! I also used wadding or batting, not sure which it is? 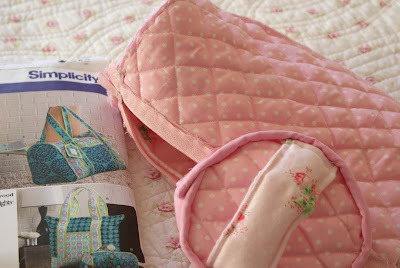 to make it nice and padded, it was also the first time i've done quilting and i'm really pleased with the effect. And lastly, don't laugh... here is one of my many attempts at crocheting i have been doing over the weekend? i don't know how to make it straight, it keeps getting shorter on every row? hmmm... i'll figure it out soon enough! Love the tea cosy. 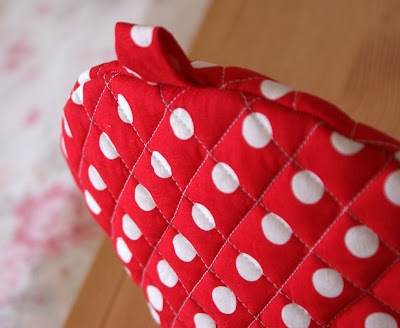 Such neat quilting. 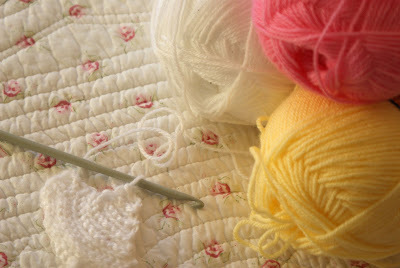 With the crocheting, once you go through the last stitch on the bottom of the row, make another loop in the same way you would a regular stitch but without going through the row below. Then flip and go back through the last SOLID stitch you made, not the empty loop. The loop is your extra, and will prevent a pyramid. This is just for basic rows, nothing fancy. I love pink polka dot bag!!! 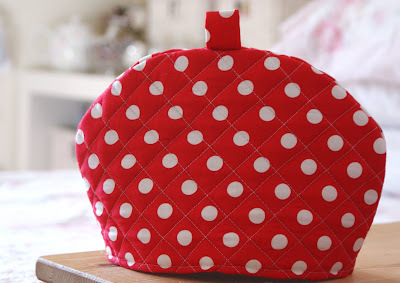 Lovely tea cosy - I should think your nan was over the moon at receiving that, I certainly would be! such a sweet cosy - love it!